It is June right now and I have finally moved in to my new home and we've been terribly busy getting everything in place. Working with contractors is really a pain. A simple instruction to drill a hole in the middle of a tile is perceived differently. A request for a higher bedframe became a disaster, leaving The Hubs and I sleeping on the mattress without a bedframe for several weeks. Oh well rants aside, we're more or less settled although our new home isn't 100% done up, it is getting along fine and I am having more time to do my leisure stuff rather than packing, trashing and moving things around. 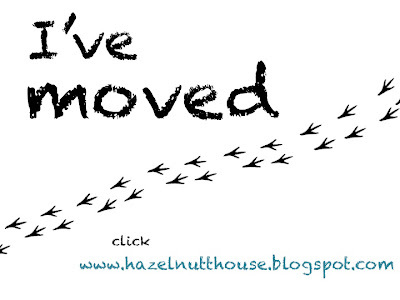 I am officially back on bloggersphere! However, I have decided to make use of a the Blogger platform to post my entries as it is kinda difficult loading pictures as well as getting my paragraph spacing and alignment right on Onsugar. With Blogger, I can upload an entire selection of photos at one go and getting my paragraph spacing to my desired width didn't fail me on Blogger. That being said, I'll continue to link my entries the way many other ladies are doing on Onsugar. If you wanna be updated directly, do add me to your reading list. Talk to you ladies again, SOON! will continue to follow you here! and congrats on the new house! hope to see sneak peeks of a house tour?